CE Marking in Ahmedabad, CE Marking in Gujarat, CE Marking Ahmedabad, CE Marking Gujarat, CE Marking Certification Consultancy Service in Ahmedabad, Gujarat, We are a unique entity in the industry, actively committed towards offering optimum quality CE Marking Certification Consultancy. Under this service, we help the clients in accessing to sell their products into the European market without adaptation or re-checking. Besides, we also help our patrons in understanding CE regulations and provide training concerning CE marking services. Our offered service is a quality certification service, used to indicate conformity with the essential health and safety requirements set out in European directives. Organizations looking for CE marking certificate consultants in India, CE marking certification in India, CE marking certification registration provider consultant agency in India, CE marking certification with notified agency/ body in India, CE Marking self certification in India, CE marking certificate provider & CE marking service provider agency in India can contact us. We are a leading CE marking product certification consultants, CE Marking product certification consultancy service providers, CE marking training providers in India. We are providing CE marking consultancy services in India at Gujarat (Ahmedabad, Vadodara-Baroda, Surat, Ankleshwar, Bharuch, Nadiad, Anand, Vidyanagar, Mehsana, Kadi, Kalol, Chhatral, Palanpur, Rajkot, Bhavnagar, Jamnagar, Himmatnagar, Bavla, Gandhinagar, Gandhidham, Kutch, Mundra, Surendranagar, Junagadh, Saurashtra and in other cities of Gujarat), Rajasthan, Madhya pradesh, Uttar pradesh, Haryana, Punjab, Bihar, Maharashtra, Kerala, Tamilnadu, Andhra pradesh, and in other states of India. Depending upon application and design of product under consideration, we can help organization in identification of proper directives and harmonic standards applicable to the product and performing gap analysis against requirement of directives and existing product. We will be responsible for coordination with notified body ( where notified body involvement comes) for smooth and faster execution of CE marking certification project.Ocean Management Services For CE Marking in Ahmedabad, CE Marking in Gujarat. Organization looking to obtain get achieve CE marking in India can contact us. We can help those organizations in achieving CE marking through self certification or through certification through notified body as per type of product to be CE marking. 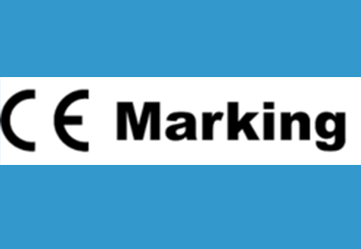 CE Marking on a product is a manufacturers declaration that the product complies with the essential requirements of the relevant European health, safety and environmental protection legislation, in practice by many of the so-called Product Directives. CE Marking on a product ensures the free movement of the product within the EFTA & European Union (EU) single market (total 28 countries).